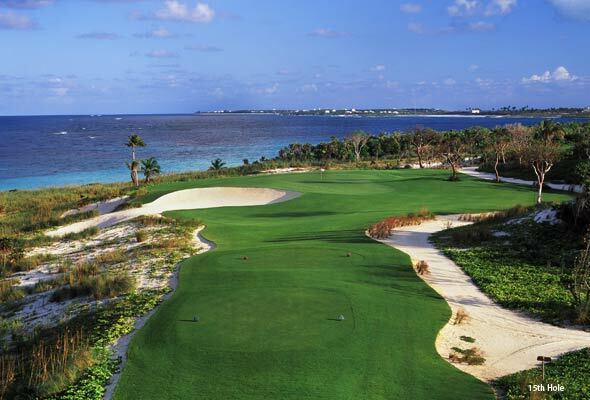 If you’re lucky enough to be headed to Baker’s Bay Golf and Ocean Club on Great Guana Cay in The Bahamas, you had better like water. 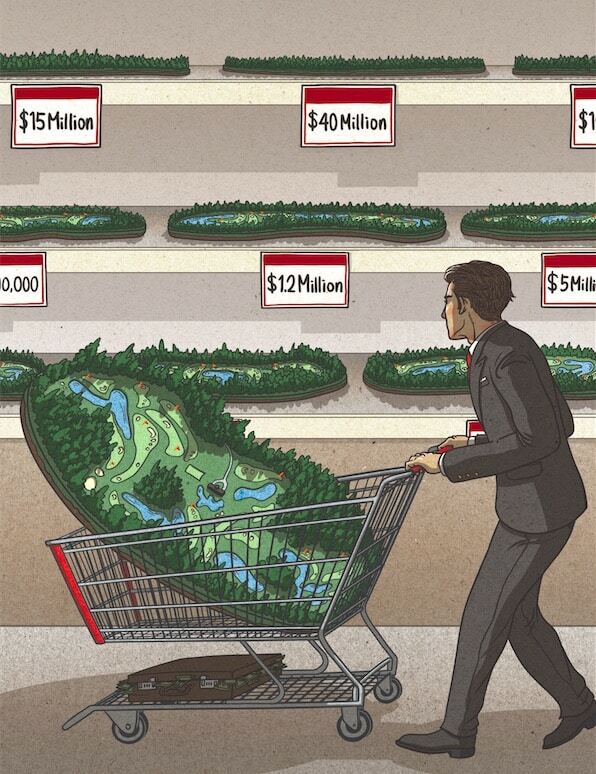 Not just the water on the Tom Fazio golf course, which is plentiful enough, but also the water that surrounds the development and the water you have to cross to get there. Because unless you own a seaplane, you’re either sailing, surfing, or swimming your way in. If you don’t have your own ocean-going vessel, there are flights to Marsh Harbor and Treasure Cay on Great Abaco Island. From there, the club’s fleet of yachts crosses the placid Sea of Abaco and docks in a 200-slip marina. A deep channel was dredged back in the ’80s by the Walt Disney Company, which relabeled the cay “Shipwreck Island” and turned it into a pirate-themed port of call for their kid-centric cruise ships. Luckily, the Mouseketeer era was short-lived, and after more than a decade of no activity, Discovery Land Company bought the triangle-shaped western third of this 1,800-acre island. The first amenities to go in were a little shopping village and the marina, some fancy tents that function as temporary quarters for a spa, fitness center, dining, and guest activities, and the golf course. If the multi-million-dollar homes and other bits of infrastructure to come are as well done as Fazio’s contribution, the names “Mickey Mouse” and “Baker’s Bay” will never be used in the same sentence again. Baker’s Bay is DLC’s 14th property and only the second not in the United States. (The other is El Dorado in Los Cabos, Mexico.) Golf is a prominent feature at every one, with Fazio responsible for nine of the courses, including Estancia in Scottsdale, Kukio on the Kona Coast of Hawaii, and Mountaintop in Cashiers, North Carolina. 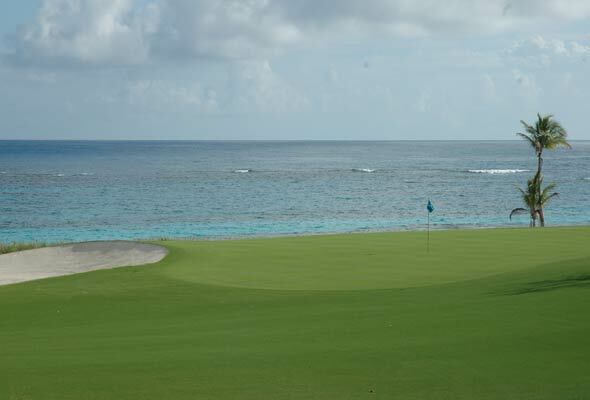 One of the hallmarks of a Discovery Land golf course, according to CEO Michael Meldman, is its emphasis on the region’s natural beauty, and Baker’s Bay is no exception: It is verdant with grass and trees, surrounded by six miles of pinkish-white sand beach, and swaddled in a spectrum of blues between sea and sky. But more important, Baker’s Bay is an outstanding layout, among Fazio’s best. (The on-site architect was Tom’s son, Logan. It will be interesting to watch how the next generation of the prolific Fazios matures.) The course manages to be both user-friendly and challenging, a test of the golfer’s strategic thinking and playable through the air, along the ground, and just about anywhere in-between as conditions dictate. Plus, it’s fun. Those familiar with Fazio know he tries to be the golfer’s friend, finding ways to keep balls in play and save both face and score. He accomplishes this at Baker’s Bay by making the fairways wide and the rough all but nonexistent. Instead, there are tons of sand, taken from the surrounding beaches to fill broad bunkers and meandering waste areas dotted with palm trees and native grasses. The greens are big, too, as are the collection areas that abut them. From tee to green, the course is platinum paspalum, the uniformity of grass enhancing playability by creating options, especially from off the greens. Putting is often a reasonable (some might say preferred) means of recovery. The water holes may be the course’s most scenic, but some of the most vexing lay inland. The 5th is a long par 5, arguably the hardest hole on the course. Usually playing 500 to 550 yards, it takes two big shots to get near the undulating green, which is guarded by a large bail-out area to the left and a lake on the right. 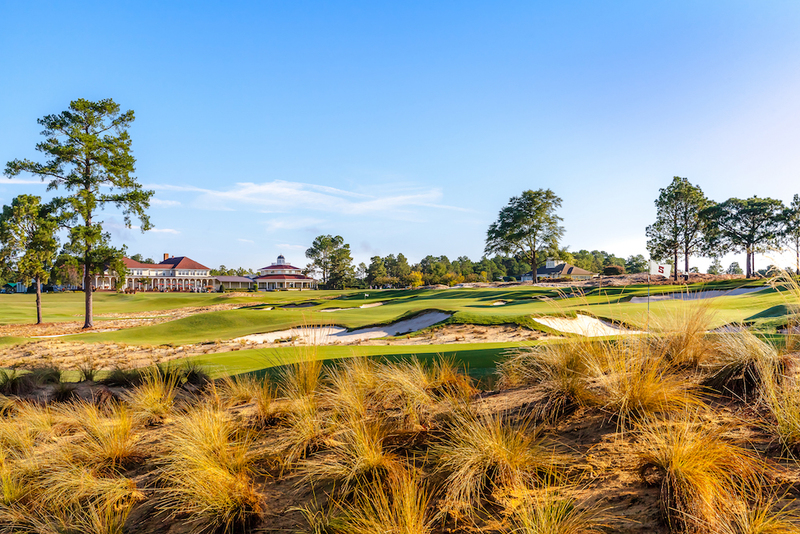 The 12th is slightly longer, its green protected by a false front short and right that can turn an almost perfect shot into a 50-yard pitch from the fairway. The 14th is a textbook example of risk-reward: If you’re feeling brave, the green is only about 300 yards away but the fairway slopes from right to left. The pro’s suggestion: “A good 3-wood or hybrid off the tee will leave you with an 80-yard wedge shot in…and no guarantee of par!” Standing on either tee, the smart golfer will want to take a few extra minutes to size up the options, test the wind, take a deep breath, and silently offer a little prayer. Time will be spent on the 13th tee, as well, but ogling rather than imploring. There’s a surprising amount of elevation change on the course, especially the back nine, and the 13th tee is the highest point on the entire island. 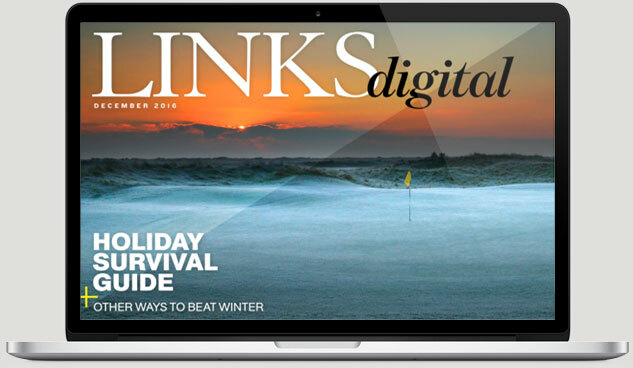 It offers golfers—and the occasional wandering sea-gazer—360-degree views to all horizons. Stopping to gape, gasp, or gather your wits at any point during a round shouldn’t be a problem. The course is open only to members and their guests, and expectations are for maybe 1,800 rounds a year. That’s an average of five a day—not five foursomes, five golfers! Off the course, the community offers another ridiculous amount of choices, these being water- and land-based activities. Not surprising, water is the main draw, and the “Outdoor Pursuits” programs include sport, bone, fly, and bottom fishing, windsurfing, snorkeling, scuba, surfing, sailing, parasailing, kite surfing, kayaking, and everything else wet; there’s also a pool located near the marina. Landlubbers will find extensive eco-education programs (70 acres have been designated as nature preserve), plus hiking, crabbing, a beach club, sporting clays, batik, cooking classes, local and out-island touring, and a children’s camp. Plus, there’s already a spa and fitness center (which will move into more permanent structures soon), as well as a number of restaurants and shops in the village. Coming soon are a movie theater, tennis courts, and a bowling alley. No one should ever be bored—or inactive. The first dozen houses are complete, with another 12 under construction and nearly the same number in the process of design review. The community will total 365 homes, most on or near the ocean, others within the golf course and around the marina. Both sites and finished homes are available at a wide range of prices, starting around $1 million. It really is better in the Bahamas, at least for those lucky enough to have access—don’t forget the flippers!—to Baker’s Bay.